Welcome to this week's edition of Frugal Friday. Let's get right to the good stuff this week, shall we?? First up, the Fan Favorite. Simply Chic Treasures shared her cupboard redo using old fashioned milk paint! 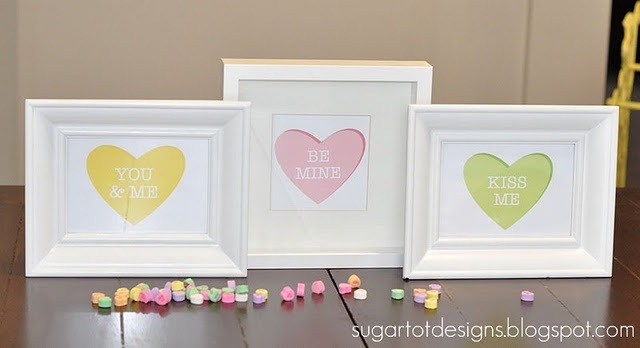 I Heart Naptime shared these adorable free conversation heart printables from Sugar Tot Designs. Just in time for Valentine's Day! Five Days 5 Ways shared her amazing living room reveal! Love the ecclectic mix and the fresh colors! 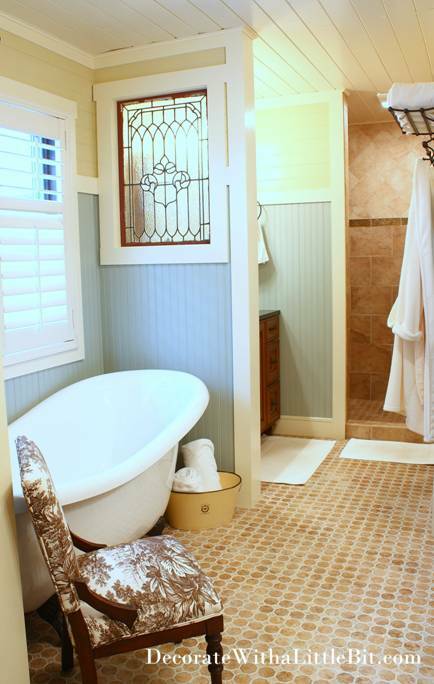 This bathroom makeover from Decorate with a Little Bit has me swooning. Love. that. tub. Finally, I love this DIY wing-back studded headboard from The Kurtz Corner. Simply fabulous! Thanks for hosting Wendy. Have a great weekend! Happy to be here! Thanks for letting us share at your wonderful blog! Wowza, the bathroom shots are awesome! Thank you so much for hosting! Love it all. I'm not usually a fan of purple, but those pillows are such an awesome shot of color against the grey! YUMMY Bread Pudding with Butterscotch Sauce and a Free Bachelor Bingo game that makes watching a silly reality show much more fun! Thanks for hosting the party once again. Have a great week! Thanks for hosting, can't wait to check out all the great posts. Thanks for hosting! Drop by for a visit sometime! Sorry for posting my TV console like 4 times! It wasn't showing up in the browser when I refreshed and I didn't think it worked but apparently it did, each and every time. Oh man, I feel like my mom right now. Thanks for hosting! Great features! 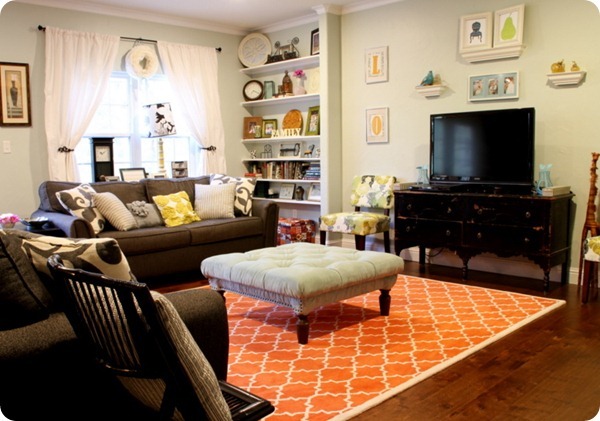 I LOVE that living room from Five Days 5 Ways - the rug is spectacular! I've also included a FREE downloadable template of my herringbone design - so I hope that others will try out my project too!! So happy to be a new follower and to have joined the party. Just found your site and became a follower. I linked up to the party and will be checking out some of the other links. Thanks for hosting. PS: The living room reveal from 5 days 5 ways is awesome! !